Fitbits are marketed as devices that can help track things such as your heart rate to better improve your lifestyle, but a new study commissioned by plaintiffs in a lawsuit shows that maybe they’re not as accurate as some would lead you to believe. The results of a study conducted by researchers at California State Polytechnic University, Pomona, in which participants’ heart rates were simultaneously measured by a Fitbit on each wrist and a device called a BioHarness hooked up to a electrocardiogram, found that the PurePulse heart rate monitors on two Fitbit models - the Surge and Charge HR - can be off by up to 20 beats per minute. Additionally, there were inconsistencies between the two devices and at times, the device didn’t record a heart beat at all. Between the two devices, the study found a greater discrepancy with the Surge than with the Charge HR. Forty three adults were put through differing levels of activity throughout a 65-minute session, from jogging to jump-roping to full-out treadmill running. Results showed that the more intense the exercise, the greater the margin of error. “The PurePulse Trackers do not accurately measure a user’s heart rate, particularly during moderate to high intensity exercise, and cannot be used to provide a meaningful estimate of a user’s heart rate,” the researchers wrote. The study was used in an amended complaint in a class action lawsuit filed against the company by several Fitbit customers who claimed that some trackers didn’t accurately measure heart rates during exercise. This skews the results a bit due to bias, but it isn’t the first investigation to be done into Fitbit accuracy. WTHR, a news station in Indiana, manually recorded things such as steps taken and calories burned and found similar results when compared to the Fitbits participants were wearing. A 2014 article in the Berkeley Science Review also found that the more intense the exercise, the more the Fitbit was prone to error. 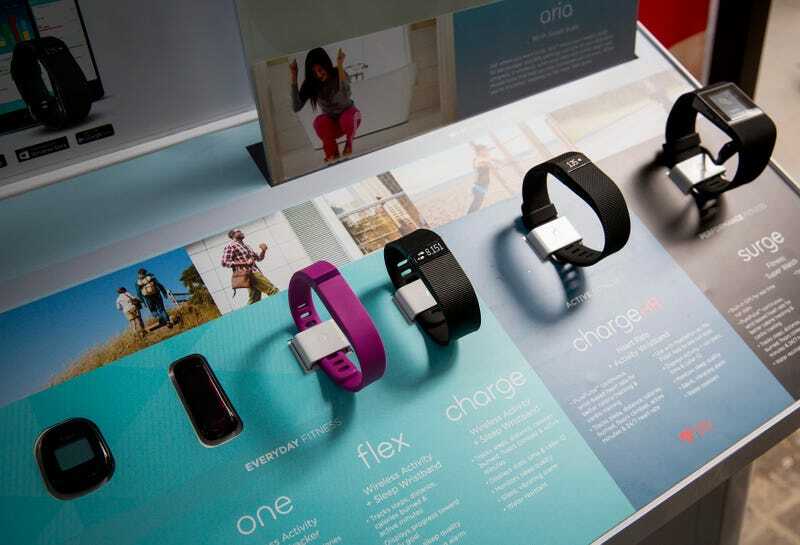 Update: Fitbit issued a statement in response to the claims stated by the study and the lawsuit. What the plaintiffs’ attorneys call a “study” is biased, baseless, and nothing more than an attempt to extract a payout from Fitbit. It lacks scientific rigor and is the product of flawed methodology. It was paid for by plaintiffs’ lawyers who are suing Fitbit, and was conducted with a consumer-grade electrocardiogram – not a true clinical device, as implied by the plaintiffs’ lawyers. Furthermore, there is no evidence the device used in the purported “study” was tested for accuracy. Fitbit’s research team rigorously researched and developed PurePulse technology for three years prior to introducing it to market and continues to conduct extensive internal studies to test the features of our products. Fitbit Charge HR is the #1 selling fitness tracker on the market, and is embraced by millions of consumers around the globe.